In addition to building API 650 Aboveground Storage Tanks International Tank Service also designs, fabricates, and builds AWWA D100 Ground Supported Flat Bottom Water Storage Tanks, Standpipes, and Reservoirs. 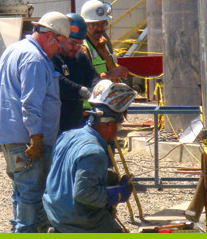 We are long standing American Water Works Association (AWWA) members and we have the knowledge and experience to design, fabricate, and construct your next ground level aboveground water storage tank. The first tank International Tank Service built in 1986 was an AWWA D100 water tank in Lima, OH for Westinghouse Corporation. Why choose a ground supported flat bottom water storage tank? 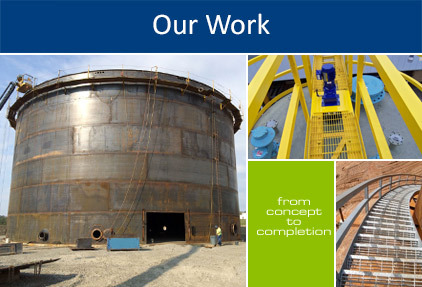 International Tank Service also has the ability to design and construct your tank foundation. If you are having problems with your foundation we can also jack and level your tank to get rid of any unwanted edge settlement. We offer water tank inspection services and can retrofit, modify, and repair any existing water tank.